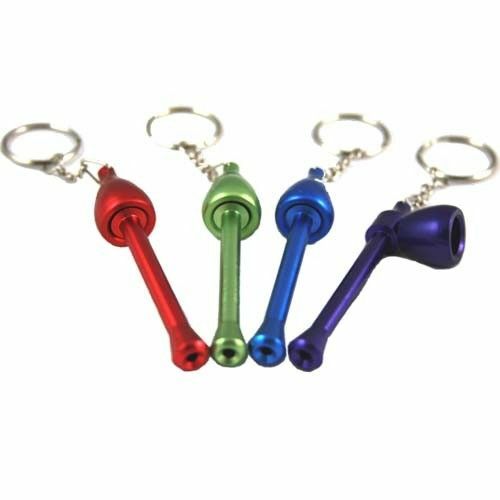 The mushroom pipe is a small convertible smoking device that can transform from an innocent mushroom keychain into a portable tobacco pipe in a few quick and easy steps. Assembling the pipe is as simple as separating the 3 pieces and reconstructing them into a traditional right angle bowl. When you're done, just take the pipe apart and reassemble it as a discreet mushroom keychain. At just a little over 4" this small portable pipe is super travel friendly.